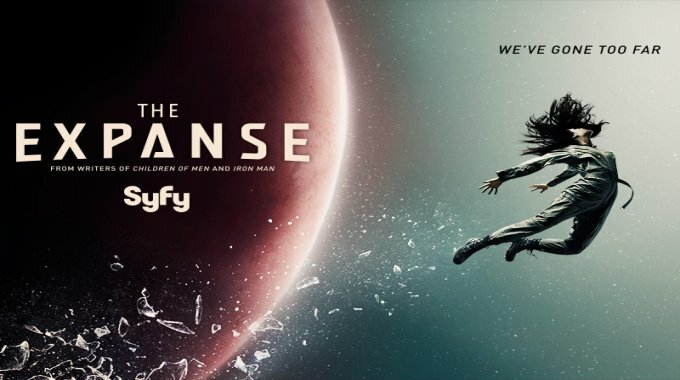 The TV (Netflix) show The Expanse, commissioned by SyFy, has the ability to open your heart and your mind all the while taking you to the distant future into the solar system and back again. And in doing so, it has proven that science fiction is indeed an art form translatable onto the small-screen (nay–smartphone screen). That organisations are able to commit to high-quality content and, presumably, are duly rewarded. The days of relying on Star Trek, or lamenting the loss of Firefly and Terminator: The Sarah Connor Chronicles is gone. ‘TV’ shows are undergoing a golden age/renaissance with silverscreen actors understandably recognising the opportunities and it is enough to bring a tear to the eye of dreamers. Why did Lost work (until it didn’t); why does Game of Thrones work? Human stories, played out over vast imaginings, capture the living room. The Expanse sees to that, all the while blending what must have been a hell of a work by the writing duo James S A Corey. It presumably has condensed that series of books to a thorough and expert level. It carefully balances high and low concept, and never makes something that little too complex to understand. For sci-fi fans, disappointment is part of the hunt; that is learnt behaviour over the last seventy-odd years of sci-fi broadcasting. And for all the absurdity of life on our blue ball, all the rumblings over geopolitical strife, escapism is a liberation. When fans as discerning as our blue-blooded sci-fi kin fully escape, it is as ethereal as it gets. There be the bug; there be the hunt. There be The Expanse. When does wonder become space-magic: what some consider to be the archetypal science-fiction shark jumping? It is a fine line, and one might argue that the journey the viewer takes is as important in the acceptance or disposal of a display of such magery; S2 E5 “Home” sees one such moment, but with feet firmly planted in extra-milky way explanations and transformations of energy one might accept it as sci-fi, albeit less than ‘hard’. Ahh, who cares? Point is it may well bring a lump to one’s throat (see, bird) and send one into exclamations of gushing loyalty. This is a new golden age of TV. And The Expanse is so far holding up the mantel of its science fiction credentials with beauty.